Nestled deep in Chattahoochee Plantation this impeccably maintained home sites on 1+ acres that rambles down to Sope Creek. Captivating views from every window and especially enjoyable from screen porch. Beautifully renovated kitchen and baths with hardwoods on main. 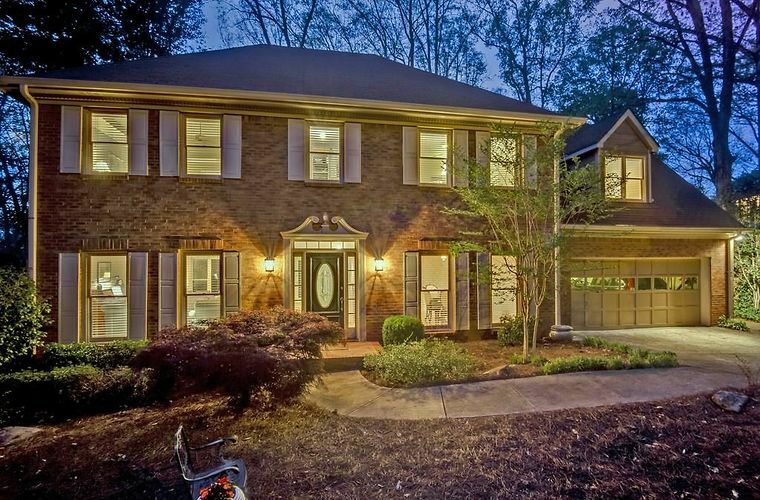 Tankless water heater, central vac, great terrace level cap off this home- do not miss chattahoochee park and sope creek mill very close- location to in-town is also a big plus. Directions: North on Johnson Ferry Rd from the river. Left on Paper Mill. Right into Rivermill Subdivision. Turn Left on River Cliff Chase. Home on Right.